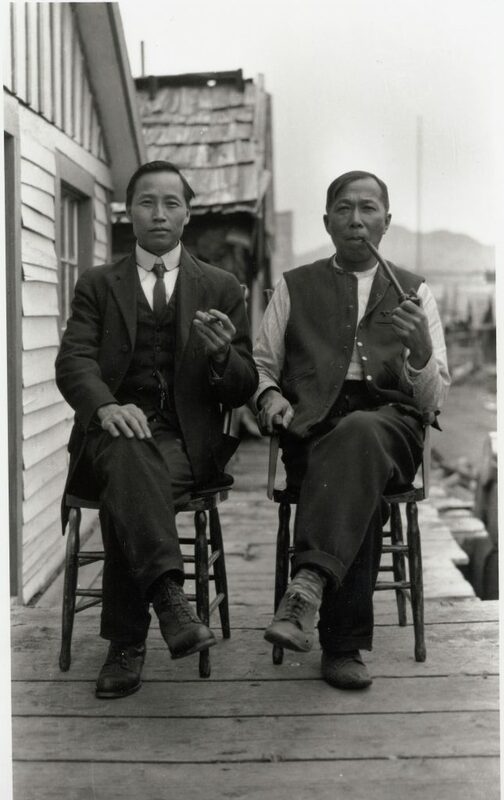 An extraordinary collection of photographs by Chow Dong Hoy (1883 – 1973), a Chinese-Canadian photographer working in British Columbia’s Cariboo. 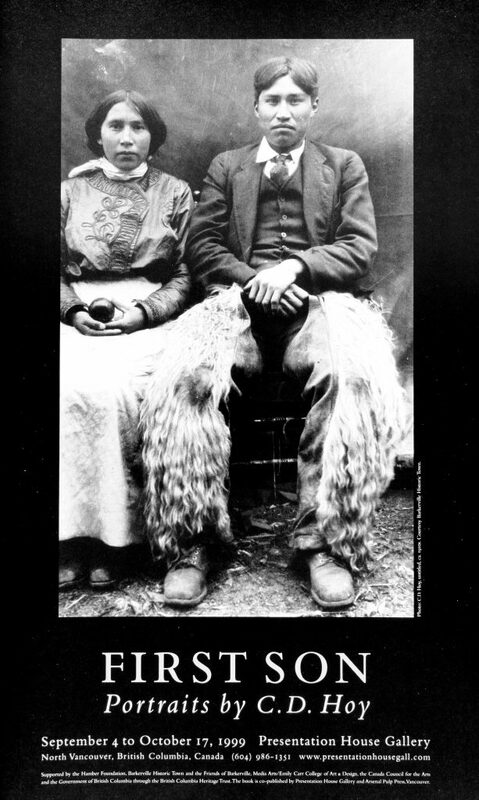 His startling, evocative portraits of First Nations, Chinese, and Caucasian people in small-town British Columbia, taken between 1909 and 1920, form an important historical and cultural document about the roots of “otherness” in Canada. 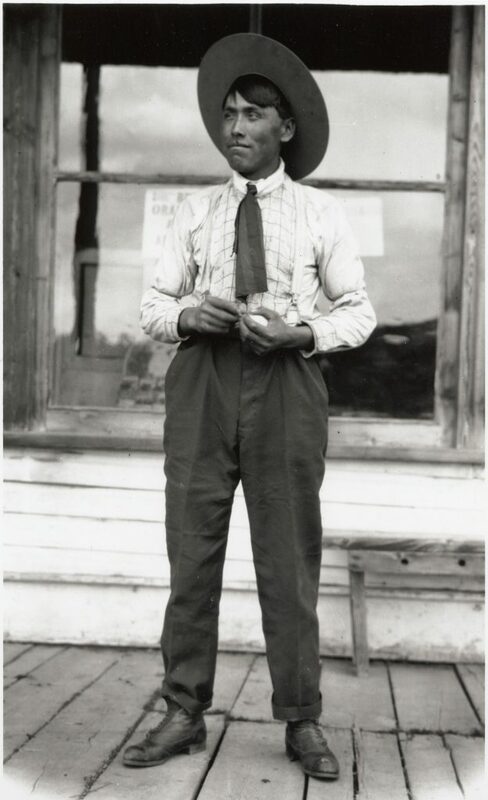 Hoy’s photographic aesthetic was in the portrait, and was driven by the spirit of invention. He was not a simple portraitist: his work was deliberate and informed, often including elaborate and precisely-positioned backgrounds. Taken as a collection, these moving and exquisite images depict a multiracial community frozen in time, and are as rich, varied and vital as the people they portray. Assistance from the Barkerville Historic Town. Supported by the British Columbia Heritage Trust, Barkerville Historic Town and The Friends of Barkerville, The Hamber Foundation and the Canada Council for the Arts. Presentation House Gallery and Arsenal Pulp Press, co-published a book, with text by Faith Moosang and an introduction by Paul Yee. Poster for the exhibition "First Son: Portraits by C.D. Hoy"
Believed to be Lim Poi, a pig farmer from near Prince George. c.1910s. 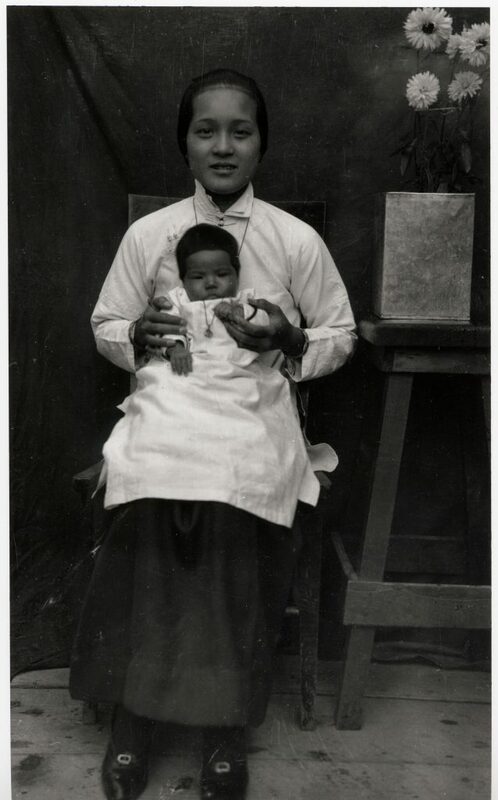 Mrs Lui Mon Ho Keen holding her first daughter Beatrice Keen. 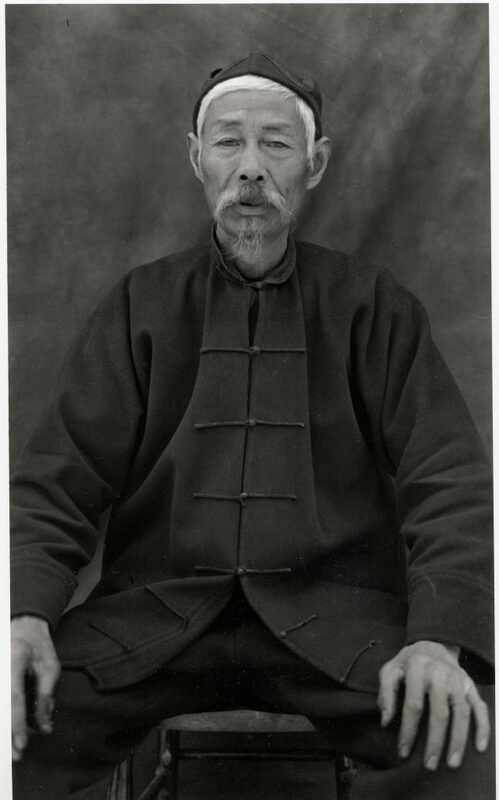 c.1910s. 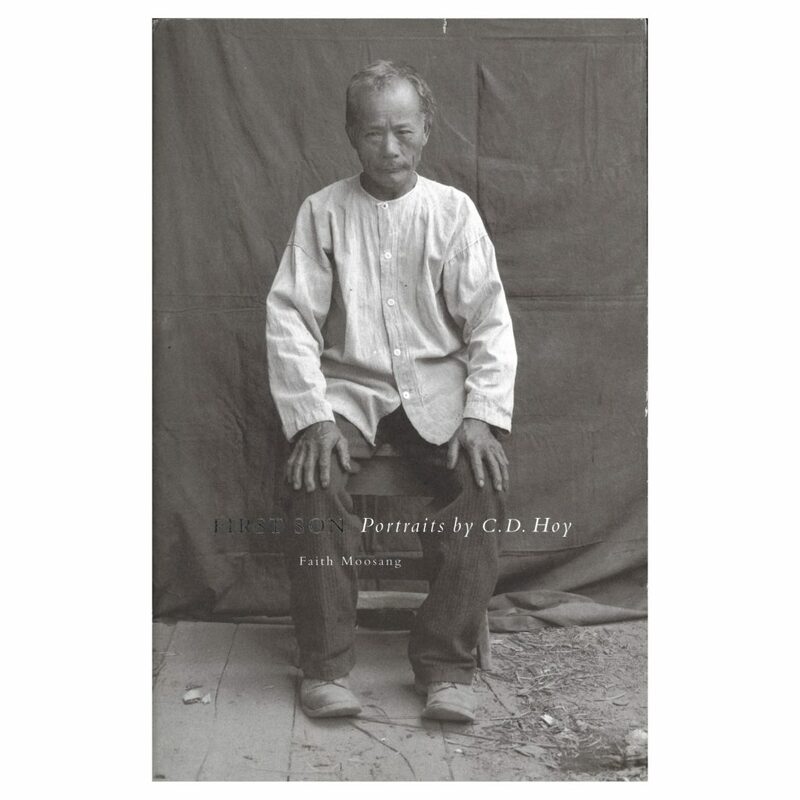 An extraordinary collection of photographs by Chow Dong Hoy (1883 - 1973), a Chinese-Canadian photographer working in British Columbia's Cariboo. His startling, evocative portraits of First Nations, Chinese, and Caucasian people in small-town British Columbia, taken between 1909 and 1920, form an important historical and cultural document about the roots of “otherness” in Canada. Taken as a collection, these moving and exquisite images depict a multiracial community frozen in time, and are as rich, varied and vital as the people they portray. The 1999 exhibition was guest curated by Faith Moosang and toured from 2000 to 2005. The publication was edited by Karen Love with assistance from Brian Lam. Co-published with Arsenel Pulp Press. Text by Faith Moosang with a foreword by Paul Yee. Nominee, Roderick Haig Brown Regional Prize; B.C. Book Awards. Faith Moosang won First Place for Outstanding Achievement for Research; the Canadian Museums Association. Designed by Mark Timmings of Timmings and Debay and printed by Harpell, Ottawa.